The objective of the Mmulargan School is to be able to transmit its ancient Arts and in this way we look to improve the quality of life for every person, mind and body. Through Seminars or special classes organized by the persons who are interested. Special courses for Universities, Companies, Clubs, etc. We teach these arts in a simple and direct manner; in an “old style,” so to speak. Seamm-Jasani = 7 stages, completion with stage 8. Osseous Boabom = 9 stages, completion with stage 10 (graduation). All the students begin by learning Seamm-Jasani or Osseous Boabom. Eventually the students can learn Yaanbao (Art of Implements), Meditation, and the Pedagogy. Each of these Arts has different levels as well. A standard course usually meets for one hour, one or two times per week. For example, Tuesdays and Thursdays at 8:00. Each class means advancing with new movements; it is not a repetitive class. Seminars can be developed over a weekend or longer. The schedules and fee system are regulated by each School or Certified Teacher, independently from the Council. In general, all that you need to take classes is a clean, open indoor space. You do not need weights or machines: just a simple place without interruptions. Ideally there should be a low carpet, but a wood floor or other comfortable surface is fine. Anyone can take classes, from seven years old up to any age. There is no differentiation between women and men, children and adults, etc., although for elderly or disabled persons there is a separate pedagogy that should be followed in its own class. These specific classes will be greatly beneficial to those with movement or other physical problems. One of the ways to learn Boabom in its soft way (Seamm-Jasani) or Osseous Boabom (Art of Defense), is to learn directly through the books. You can find council through the internet with the teachers of Boabom, and a teacher will always be available to answer your questions about the techniques developed in the books. At the same time, you can participate in seminars or special classes at an established Boabom school, or you can propose a seminar in your area. Deres lærere gjennom seminarer eller spesielle holdt innenfor undervisningsoppsett i regi av Boabom skolene. Gjennom bøkene The secret art of seamiyansami og The secret art of Boabom. The objective of the Mmulargan School is to transmit its ancient Arts, and in this way we look to improve the quality of life for every person, mind and body. Directly, through classes with any Boabom School and its Teachers. Through Seminars or special classes. These can be organized under the auspices of a school, or by any person who is interested. This includes courses for Universities, Companies, Clubs, etc. Through a book about the Arts (The Secret Art Seamm-Jasani / The Secret Art of Boabom). If you want to become a student, you may contact a School or a certified teacher in your area. This website has been created by the Council of Boabom Teachers in order to spread knowledge of the Boabom Arts, this including its techniques, benefits and basic principles. What is the Boabom Council? The council is an organization (apolitical and non-religious) whose goal is to guide, from a pedagogical aspect, all the Boabom Schools (or Mmulargan). All teachers of Boabom are certified by this Council. Each Boabom School, and its teachers, function independently. 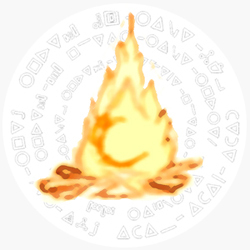 The goals of the Boabom Council are to preserve the Boabom Arts and to maintain its basic principles over time, as well as to supervise the proper application of the teachings of Boabom. The Council integrates the most experienced Boabom Teachers from all over the world, regardless of their race or their political or religious opinions. Each Teacher has grown and learned in the old ways: with work, discipline and dedication to the Boabom Arts, always guided by a senior Teacher-Guide. The Boabom Schools are stable centers totally dedicated to our Arts. Each is directed by a certified Teacher who is directly responsible for the School which she or he guides. Though each School is legally and administratively independent, they must be authorized by the Boabom Council. 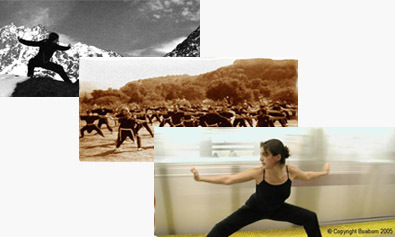 “The 8 Boabom Forms” is a sequence of Boabom movements. It symbolizes Boabom and its 8 fundamental expressions, while representing its dynamism, evolution through different stages, and continual progress. “Boabom” (‘bōə-‘βom[ipa]/བཧོ་ཨ་བཧོམ་[tib.]) is a protective mantra (sngags/སྔགས།[tib.]) that in the language of the Art (guhyamantra[sans. ], gsang ba’i skad/གསང་བའི་སྐད།[tib.]) implies “internal defense”, “power”, “protection”, “inner energy”, “vitality” or “osseous force” (simultaneously flexible and solid). Therefore, it is expressed in relation to a method that allows the serious and profound development of defense, relaxation, meditation and psychical strength of the person as a whole. Regarding its origins, the roots of the ancient Art from which the Boabom Art of today has been developed are identified with the ancient Böd (བོད།[tib. ]), a very peculiar area of the East, in the mountainous region of the Himalayas (ཧི་མ་ལ་ཡ། [tib]) and the high plateau of Asia. 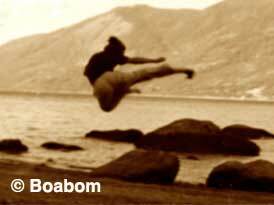 From ancient times, Boabom was taught in a direct and oral way (man ngag/མན་ངག།[tib. ]), and as the traditions of our School say, the Art was never transmitted openly, and the intention was never to divulge it to great numbers of people, but to preserve it as a “family treasure” and, in a way, it is still so today. It is also said that these teachings have no specific country or race of origin; instead, they belong to a way of life, a current of thought passed down through the millennia. These teachings never formed a hierarchical religion, instead focusing on equilibrium, on valuing oneself, and on being oneself in a healthy and natural way, developed through an understanding of one’s own potential. The nomad character of Boabom and its silent passage from one generation to the next for millennia allowed the preservation of unique forms, both in the richness of its movement and in the way it is taught. Even though Boabom does not recognize a founder or a precise time of creation, the old stories about its origins talk about a mythic time, before this era (yuga, kalpa [sans. ], bskal pa/བསྐལ་པ།[tib.]). Beyond the things that these stories may tell, the foundations of this Art passed from East to West in the decades of the 60’s and 70’s, always preserving its discrete character. It is only in this new millennium that Boabom has become more available, through books and web pages like this one. Moreover, a whole new generation of teachers has been formed, as well as a Council which is responsible for preserving its teachings; this has given a more stable structure to the pedagogic system that guides Teachers and Schools of this old Art. Nowadays, Boabom, in this new way, is open to anyone who values it and wants to develop it with discipline and energy. The aim of today’s Boabom Council is to give a deep meaning to the concept of SCHOOL (or Mmulargan), not just as a bridge to the knowledge of a specific technique, but also as a fine link to an Art as a whole, a mysticism and an authentic form of living. On the other hand, Boabom does not have nor does it adore “masters”, whether ancient or modern, and would never post them as icons on a web page or in its Schools. At the same time, the Council attempts to maintain the values that have guided Boabom, without the need to consider the Art of today as tied to a specific race or country. Thus, the Boabom Schools are dedicated to teaching this incredible Art in a universal and pragmatic way, with profound respect and exclusive dedication. The way of Boabom is characterized by its richness, technical variety, an absolute respect for all forms of life, and the vital importance of not abusing oneself in order to learn and find interior balance. The body is not considered an enemy, but a great and precious tool; the mind is not considered a goal but a bridge; the classroom is not a place to compete or prove something, but a space that helps one to encounter oneself. 1. UNITY: Boabom is based on the belief that Body, Mind and Art are a single unity that exerts mutual influence, just as the universe, the Earth and its living beings. 2. DIVERSITY: There are as many ways to Boabom as there are students. Boabom recognizes the mental and physical diversity of human beings. All of us are different; therefore, the technique of the Art can be adapted, allowing the student to develop without pressure, to feel vital, and to value her/his own personal energy. 3. FIELDS: Boabom is, within itself, a diverse Art, in which each student can study one or all of its forms (or Branches) according to her/his desires. These include soft movement, relaxation, defense, and defense through elements, as well as meditation, pedagogy, and a fundamental code for life. 4. A PROGRESSIVE ART: Boabom is essentially progressive and varied. The technical perfection of the Art is not based on monotonous repetition but in variety, constant change, progress, and the development of continuous movement in each one of its different branches. Each class is about intelligent advance and development, not mindless repetition. 5. NON-VIOLENCE: Boabom, in its branches as an art of defense, is taught through the principle of non-violence (ahimsa [sans. ], mi ‘tshe ba/མི་འཚེ་བ།[tib]). It is incredibly effective as a method for defense, but this does not mean that it requires contact or confrontation between students. It does mean that mutual cooperation and humility are required (khengs bskyungs/ ཁེངས་བསྐྱུངས།[tib.]). 6. NON-COMPETITION: Boabom follows the old codes: it is a non-competitive Art. Boabom Schools do not participate in tournaments, do not believe in trophies or any such thing, and their students have no need to compete in order to go forward or feel secure. 7. EVOLUTION: Boabom is a teaching constantly in evolution. The Boabom philosophy does not believe (and never did) in lineages, deterministic traditions or rigid hierarchical systems. Each generation can, and should, go beyond. 8. VALUES: In its philosophical aspect, Boabom is based on simple values, mutual cooperation and a Fundamental Code of life: Discipline, Respect, Humility.